UPDATED: Now with NAMES on each image. Sharing time ideas below!! Woohoo!! Just in time for General Conference, learn to recognize all of the modern prophets from Joseph Smith to Thomas S. Monson, plus the current 12 Apostles and First Presidency. In this fast paced fun game, each card has one (and only one match) with every other card in the deck. Try to find your match first and Shout Out. If you find your prophet first, take the card. The player with the most cards WINS. 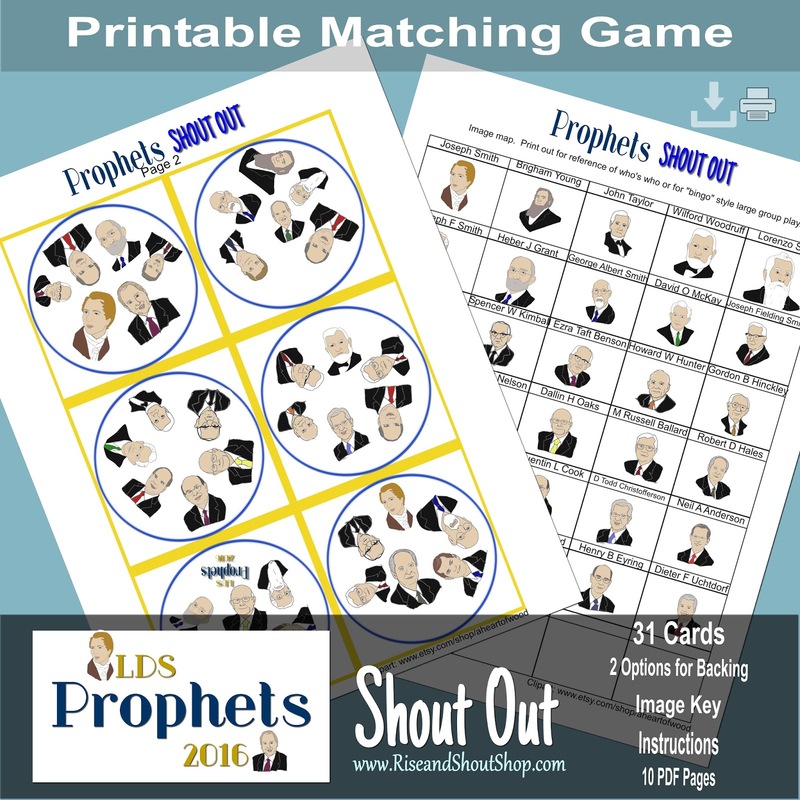 During Conference you can use Prophet Shout Out game cards to recognize the current speaker. Have children find all 6 pictures in the deck of the prophet or apostle as they speak. After Conference as a review in Family Home Evening, hand a card to each family member. Can you remember what one of the speakers on your card spoke about or was quoted? 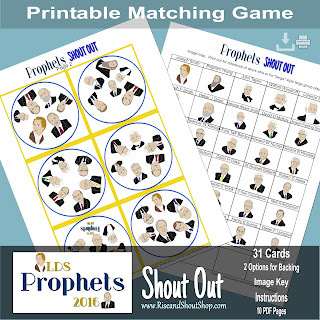 Use this game in Primary, Sunday School, Young Womens or Young Mens to introduce a lesson or fill in time at the end. I love how fast we learn as we play. 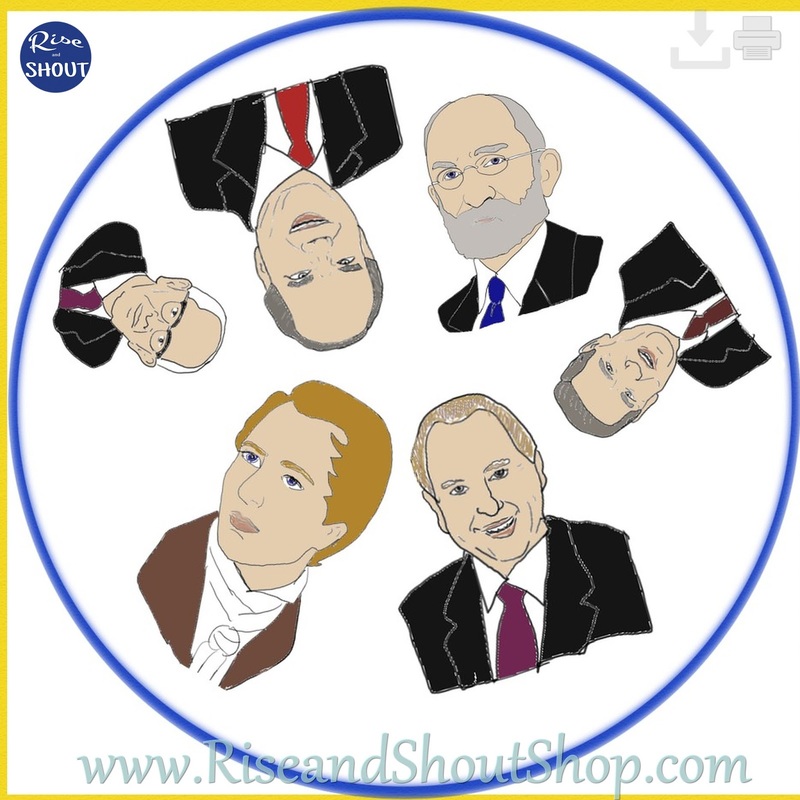 You may also love LDS Shout Out. Read a post here about how to use it to pay attention during Conference. Use the discount code FAMILYNIGHT1 during checkout to receive $1 off $5 or more. The adorable artwork on this game is all original work by the talented Debbie Wood from AHeartofWood on Etsy.